DIVORCE 911 Consulted with Wendy Dickinson of Grow Counseling for this blog. 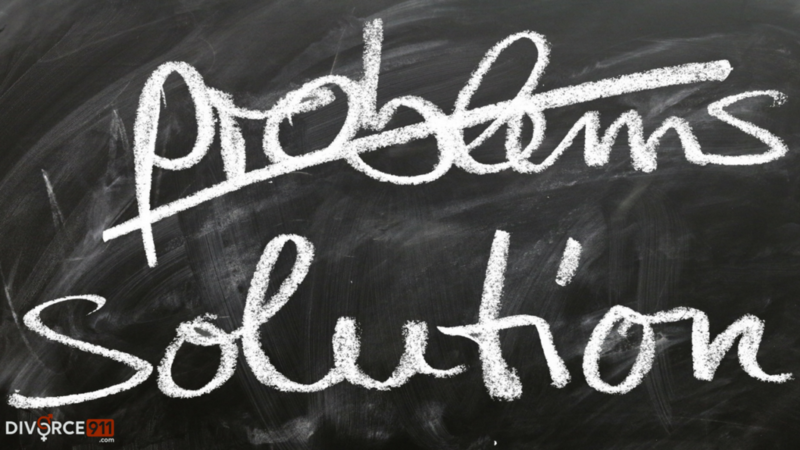 You have to identify the problems to find the solutions. Your first prerogative is to determine if the problem is under your control or outside of your control. If something is under your control then you would use what we call “problem-focused coping”. An example of this would be finding someone to help you find a place to live, you would hire a great realtor, then you would find a moving company, etc… With these situations, there are “problems/tasks” that you can solve thru your own actions. DIVORCE 911 is great for this. They find people to partner with you so that you can find your solutions. However, if you identify the problem as being outside of your control, the best solution is to manage your emotions around the problem. This is best because you can’t actually take action on the problem. This would be more of a counseling situation where we would talk about grieving the loss of something, work on surrendering a certain set of expectations or acknowledging the feelings of sadness, and being able to shift your emotions around a situation. Trying to use emotion-focused coping on something that you can control is fruitless because you can actually do something about it. The same goes for vice versa, trying to use problem-focused solutions for something you can’t control is going to feel helpless and overwhelming. You’ll just end up very frustrated. It’s important to figure out which type of problem it is. Is it something you can control or is it something that is outside of your control? This allows you to then pick the best solution. There is a lot to consider in terms of emotions that we have to move through… We can’t go around them. Part of the solution process is being very intentional and not allowing yourself to get bogged down in the emotions. You’re going to feel angry, hurt, betrayed, etc… We’re human. What you don’t want is for that to become your identity. In order to move through it, you do still have to experience it. This allows you to surrender it and fully live.